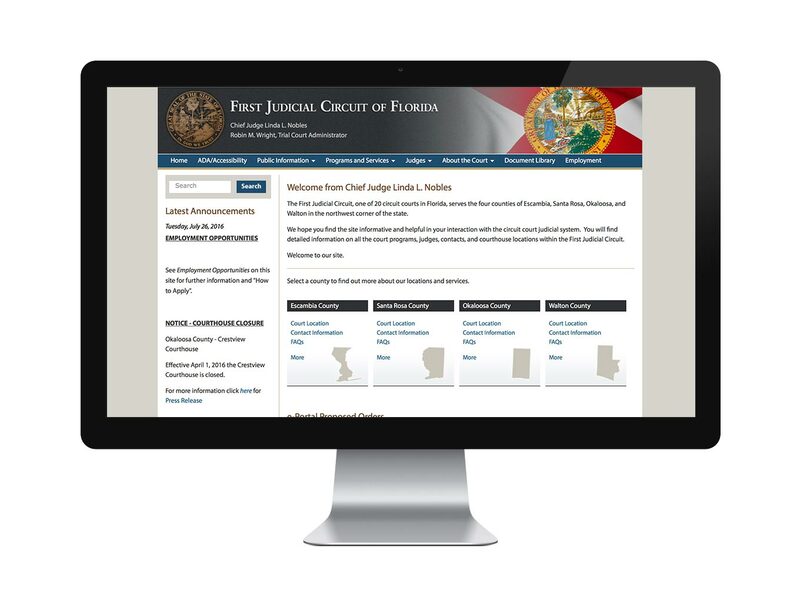 Florida’s First Judicial Circuit has launched a new website. Covering the counties of Escambia, Santa Rosa, Okaloosa and Walton, the court is one of 20 district courts in the state. 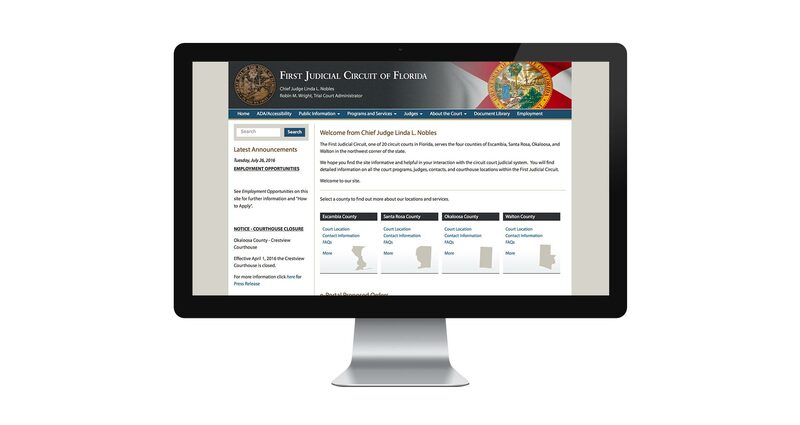 The new website features content management tools to allow court staff to maintain everything, including a sizable (and growing) document library. The site also achieves ADA compliance, of critical importance to the courts.